If you’re a landlord it is important that you understand what tax you are liable for. Our guide tells you everything you need to know about the rules for income tax when you let a property. 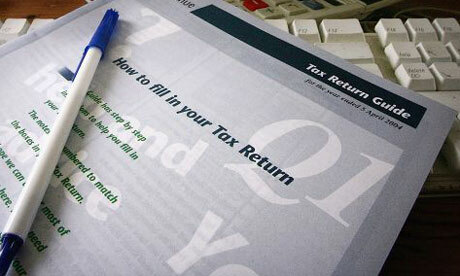 People who receive rent or income from land and property in the UK are required to complete a tax return. Therefore the first thing you would need to do is to inform HMRC that you are receiving property income by 5 October following the end of the tax year in which you received the income. The UK tax year runs from 6 April to 5 April the following year. Therefore, if you rent out your property on 1 March 2019, you would need to inform HMRC by 5 October 2019. If you do not do this you may be charged a penalty. After informing HMRC they will send you a tax return to complete. The main property expense for most people is the mortgage payment. You can deduct only the interest part of the mortgage payment. If you have a repayment mortgage, the repayment part of any payments is not an allowable deduction. This means that the mortgage interest may be less than the full monthly repayment you make, as your mortgage repayments may include repayment of capital. Where there is a significant element of improvement – such as you replace the kitchen. You are given a flat ‘deduction’ of £7,500 per year against your rental income. This means that if your lodger pays you no more than £7,500 in year, you have no taxable rental income. There are special tax rules for jointly owned property for married couples and civil partners. The rules mean that you can’t simply decide between yourselves how you want to be taxed or, for example, just give the rental income to the member of the couple with the lower income. The tax rules say that income from jointly owned property must be split and taxed in equal shares. Only in exceptional circumstances can a different split be used. This is when the property is owned in unequal shares and so income is divided in the same proportion. There is guidance on these rules on the following links.